I’m not sure I’ve ever really subscribed to Warhol’s fifteen minutes of fame theory. I’m also not sure a local newspaper would really qualify as the level of celebrity the artist was referring too. Regardless of these, it was a little bit wonderful to get some recognition for the efforts we’ve made locally qualifying for PBP. First up Mark Stuart, a journalist from the local District Mail, emailed me asking for an interview. 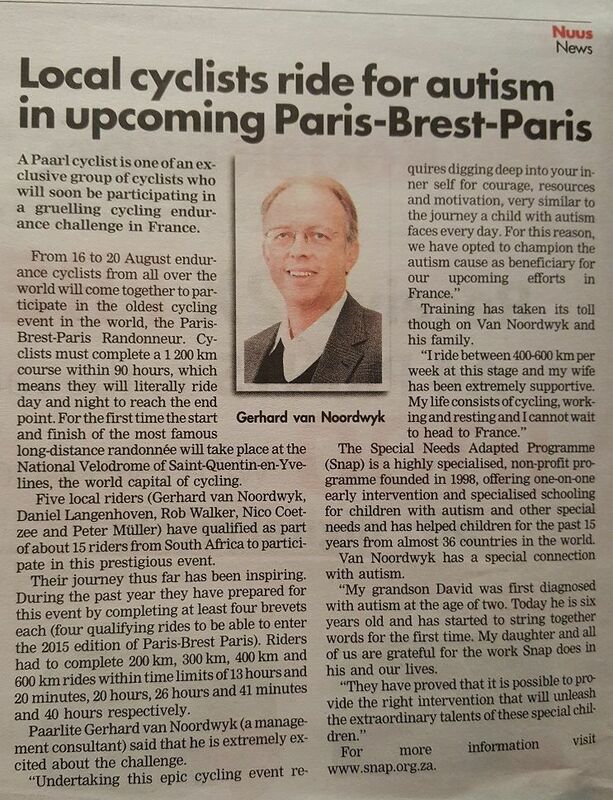 He’d seen announcements from Gerhard’s SNAP charity, which several of us are adopting as our charity for the ride. 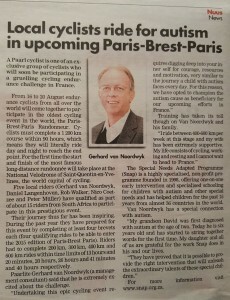 A couple of days later we had a short telephone interview, resulting in the article above appearing in the next edition. A full half page spread – I’d be lying if I said there wasn’t a smile of satisfaction at reading it. OK, there was a minor inaccuracy in the distance on LEL, but that aside Mark did a remarkable job in getting down the essential details given how little time we spent on the phone and that I suspect this was the first time he had heard about Randonneuring, Audax and PBP. One last rather pleasant surprise in this whole chapter was to see Gerhard’s post on Facebook a few days later. 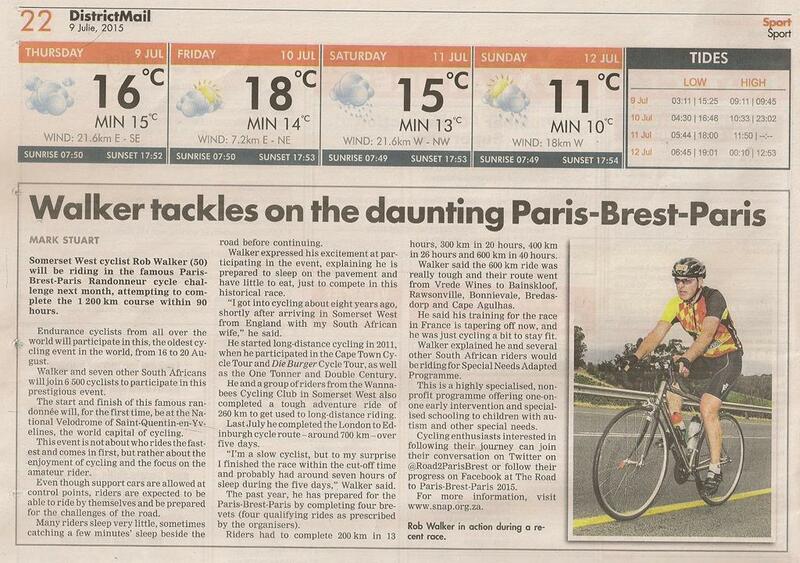 He had also got his few moments of fame in a paper local to him in Paarl. Fitting really, since it was the PR efforts being for his SNAP charity which had brought the spotlight on our succesful Cape Audax qualifying series. It’ll be great if we can get a follow-up piece once PBP is done to record our experiences, whatever they may be!